Razer Chroma is Razer’s RGB control software. 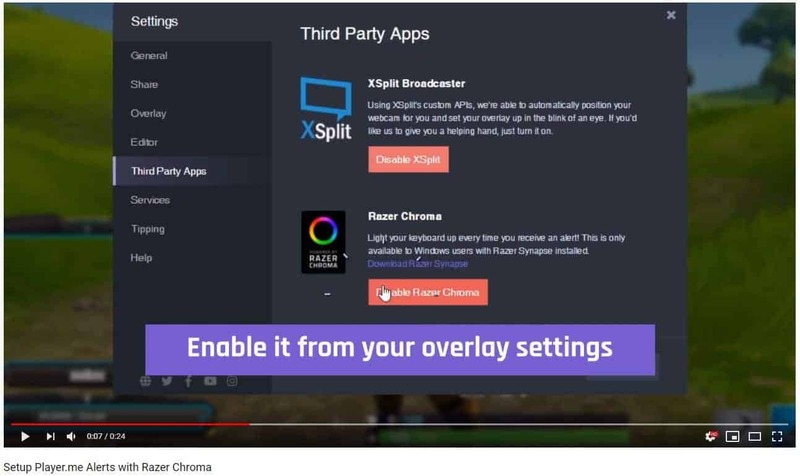 Perhaps one of the most famous manufacturers heavily featuring RGB lights on their products, Razer has taken the lighting game up a notch by not only providing the usual RGB lighting controls (color, lighting effects, …) on devices but also allowing games to sync with the RGB lights on their devices, and even partnering up with Philips to sync their Hue led lights lineup with Razer’s Chroma software. 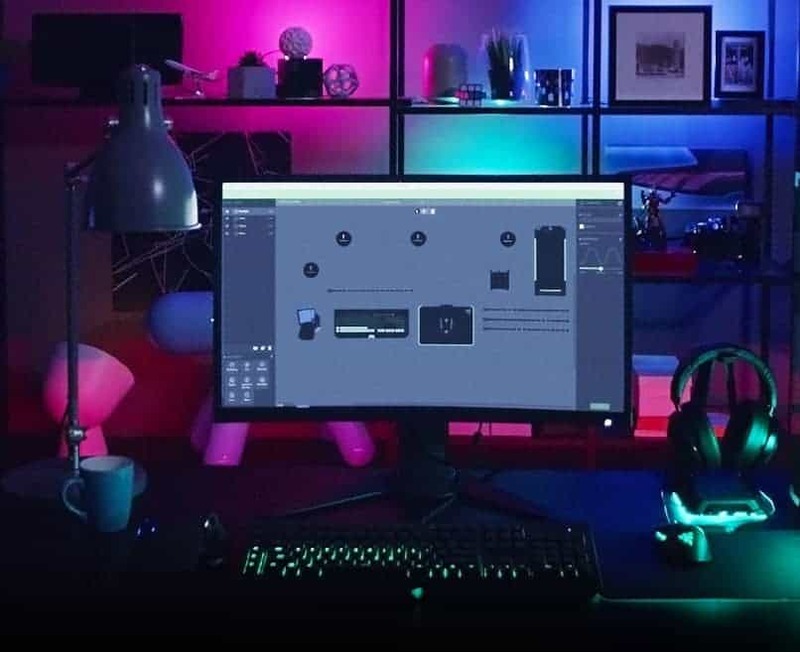 With Razer’s Chroma studio you can create in-depth lighting profiles for all of their Chroma enabled devices, as well as access the Chroma Workshop, where people can share their own lighting profile creations. Chroma is definitely for the looks, but if you’re a fan of RGB lighting, or you want to seamlessly link up the lighting profiles on your Razer peripherals it’s one of the more powerful pieces of software out there. You can check out which games offer official Razer Chroma integration (including Overwatch, Fortnite, Warframe, …) here. Razer’s Chroma isn’t only a pretty looking thing; it can also help you be more aware of certain ingame factors. 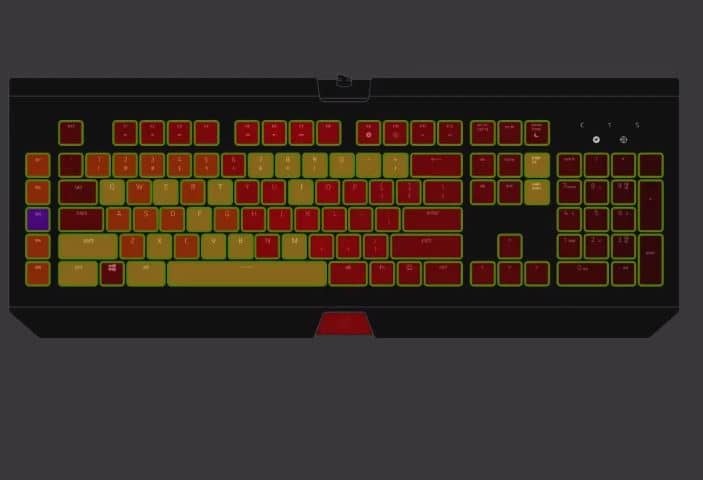 Admittedly this advantage will mostly only be marginal, but we’ve been using Razer Chroma in a variety of ways over here at the ProSettings office and we’ve seen some scenarios where we did get some actual ingame use out of the Chroma aspect. We synced our Philips Hue lights (you can also sync to Nanoleaf panels through a Chroma Workshop app) to Razer’s Chroma app, which can be really helpful to indicate your health ingame, for example. When you’re sort of tunnel visioning and not really noticing when you’re getting too low on health it can really help you out when your keyboard (and the entire room, if you have Philips Hue) starts turning red, for example. It’s also pretty cool to see everything flicker in a bright blue whenever you’ve unlocked your ultimate in Overwatch. These are only minor things, and won’t necessarily elevate your game instantly, but they can prove useful as a sort of ‘ambient reminder’ of the state of your character or game. Other features such as the dedicated lighting profile for individual games or genres can also help out when you’re teaching new gamers how to play the game, but these are obviously fringe applications of the software. It’s when we went to the Chroma workshop (which is an online exchange where you can post and download chroma profiles) that we got convinced that RGB lighting could really prove to be more than just something beautiful to look at. Take, for example, the CS:GO Bomb Timer. Sometimes when you’re in the heat of battle you lose track of exactly how long the bomb has been ticking, and once you clean up the final terrorist you might not know whether or not you’re gonna nail the defuse without a kit. With this Chroma profile you just push ALT+W whenever you hear the famous ‘bomb has been planted’ voiceline and your Chroma peripherals will tell you whether or not it’s safe to start defusing. Green means you’re in the clear, blue means you’re good with a kit, and red means you should get the heck out of there. Seasoned players and pro teams mostly know when to stick the defuse or not, but even they mess up sometimes, so having this visual cue has been really helpful for us in some occasions. Examples like the CS:GO bomb timer are really creative solutions which can make RGB peripherals more than just eye candy. The possibilities are almost endless as well; you could create profiles that start showing you when a round is almost over, or when a certain weapon is about to spawn, but you can also have your peripherals alert you when you get a new Twitch subscriber, or when someone’s joined your Discord voice channel, and so on. 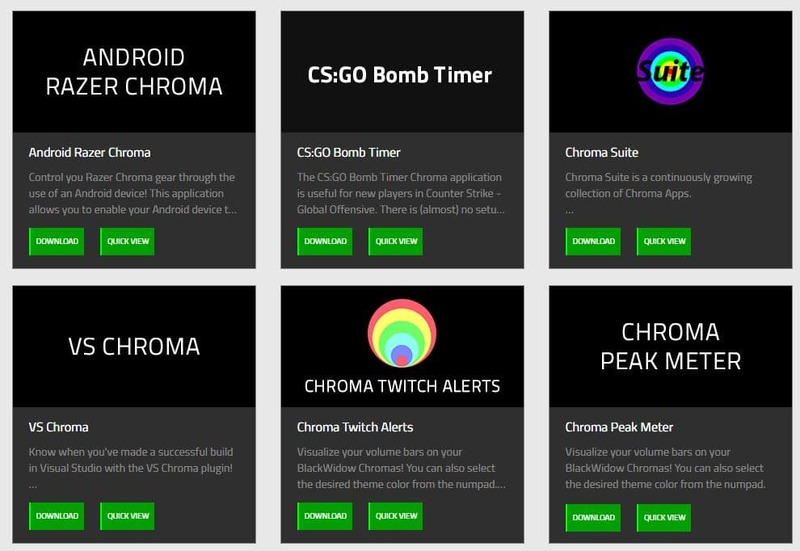 There are a lot of cool applications already, and since everyone can develop Chroma apps you can expect to see more coming up as well. You can take a look at what’s currently available in the Razer Chroma Workshop here.